A strong financial performance in North America helped Fiat Chrysler Automobiles report a 17 per cent jump in third-quarter adjusted operating profit on Tuesday even as sales and market share fell in the United States and Canada. Adjusted earnings before interest and tax (EBIT) rose to 1.76 billion euros (US $2.1 billion), aided also by improvements in Europe and Latin America. Revenue fell two per cent to $31.1 billion (all figures in USD in this story). Net profit climbed to $1.1 billion from $712 million a year earlier. The carmaker reported an eight per cent adjusted operating profit margin in North America, up from 7.6 per cent a year earlier. FCA attributed the increase mainly to a heavier sales mix of more profitable pickups and SUVs, as well as pricing gains. North American revenue slipped four per cent to $18.98 billion, while shipments in the region slipped six per cent to 592,000 vehicles, largely on a drop in fleet sales from 21 per cent to 15 per cent in the quarter. 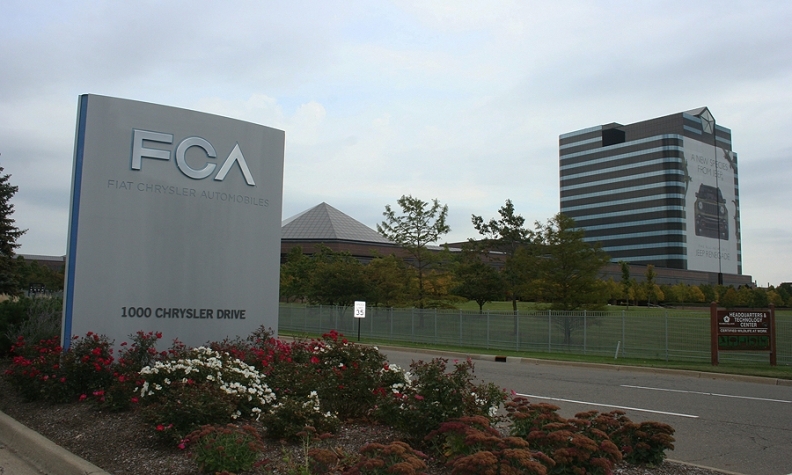 FCA Canada doesn’t report earnings separate from its parent company. Canadian earnings are rolled into the North American totals. But, FCA Canada suffered a 5.8 per cent decline when it came to third-quarter sales to customers in Canada. FCA Canada sold 61,790 vehicles in the third quarter in 2017, compared with 65,565 the year before. FCA said its U.S. market share slipped to 11.3 per cent at the end of the quarter, from 12.5 per cent a year earlier. It Canadian share fell to 11.1 per cent from 12.5 per cent. FCA’s 8 per cent margin compares with the 8.3 per cent reached by bigger U.S. rival General Motors. The company's shares finished the day up 5.4 per cent, ending at $17.45 on the New York Stock Exchange. The automaker confirmed its timeline for retooling its North American production capacity to produce more pickups and SUVs, confirming officially for the first time that it will retool its Warren Truck Assembly plant in suburban Detroit to build the upcoming Jeep Wagoneer and Grand Wagoneer body-on-frame SUVs next year. The automaker also confirmed that its retooled Sterling Heights Assembly plant, which will begin making the redesigned Ram 1500 in January, will be able to produce about 60,000 more half-ton pickups per year than the pickup’s current line in Warren Truck. FCA said its closely watched net industrial debt rose to $5.2 billion by the end of September from $4.9 billion three months earlier because of currency effects, but confirmed that its net industrial debt would fall to less than $2.9 billion by the end of 2017. In the quarter, FCA said its total debt fell to $21.9 billion from $22.5 billion at the end of June. Profitability also improved in Europe, helped by sales of the Stelvio and the new Jeep Compass. The company also was profitable in Latin America, while margins at Maserati remained strong at 13.8 per cent on demand for its first crossover, the Levante. • FCA’s ability to hit its 2018 financial targets will largely depend on the next three months, as it launches production of the redesigned 2018 Wrangler, the redesigned 2019 Ram 1500 pickup and a refreshed Jeep Cherokee, representing more than one million units of its most profit-rich vehicles. “The flawless execution of that plan will pretty much deliver 2018,” Marchionne said. • Maserati will get a new crossover by 2020 that will be slotted below the Levante in size and share a platform with Alfa Romeo. • The upcoming Jeep Wrangler-based Scrambler pickup won’t come to market until 2019, after the Toledo South line is retooled. • The Alfa Romeo Giulia sedan and Stelvio crossover will only reach about 80,000 units combined globally in 2017, below its expectations, partly because of issues getting Stelvio stock into FCA’s Alfa Romeo dealer network in the NAFTA region. • FCA’s recently announced partnership with BMW, Intel and Mobileye to develop an autonomous driving system will keep FCA from destroying capital while “chasing its tail” on the important technology. “It’s the safest way for us to enter that market,” Marchionne said. • Production of the Dodge Journey has been “constrained” at FCA’s plant in Toluca, Mexico, as that plant ramps up production of the Jeep Compass. Journey sales are off 48 per cent in the U.S. through September. • If the NAFTA trade agreement is ended, FCA has the ability to produce heavy duty Ram pickups in the United States, instead of Mexico.